Orlando Pirates registered yet another victory in the Absa Premiership when they defeated Free State Stars 2-1 in a nail-biting clash played at the Orlando Stadium on Saturday night. 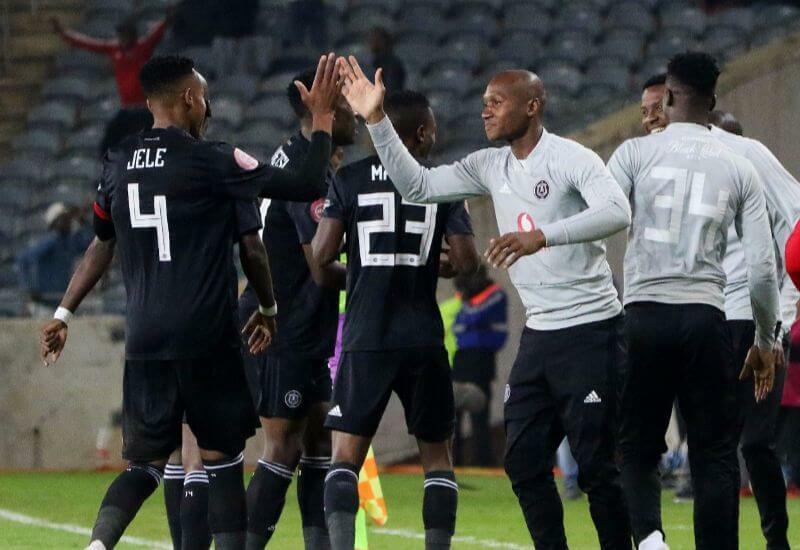 With this victory the Buccaneers become the first team to reach the 50 point mark in the 2018/19 campaign as they stretch their lead atop of the league table to six points. Pirates dominated possession in the opening quarter of the match, but Stars had the first two efforts on target – long-range shots which warmed the palms of goalkeeper Wayne Sandilands. Ea Lla Koto’s determination to have men behind the ball whenever Pirates had possession meant the home side really struggled to create openings, with forwards Justin Shonga, Thembinkosi Lorch and Augustine Mulenga left frustrated. The half ended goalless, with Stars the happier of the two teams after succeeding in smothering the title-chasing Buccaneers. The second half kicked off and within three minutes of the restart the home side was awarded a penalty early in the second half when former Buccaneer and future Hall of Famer Rooi Mahamutsa was adjudged to have fouled Luvuyo Memela. Midfielder Musa Nyatama stepped up and slotted it home to make it 1-0 to Pirates. The hosts doubled their lead six minutes later after Innocent Maela burst through the Stars defence with a great run and exchange of passes with Justin Shonga, but he was denied by goalkeeper Samkelo Mbambo. However the rebound fell kindly for Shonga, who steered a header home. Pirates thought they had gone 3-0 up in the 70th minute when Marshall Munetsi found the back of the net from a set piece however the referee disallowed the goal for an apparent foul by the Zimbabwean international. With time running out and the hosts leading 2-0, it looked like the Buccaneers were heading for an easy victory but they got a rude awakening when Stars pulled a goal back in the 82nd minute off the head of Eleazar Rodgers who latched onto a cross from the left flank. The visitors pressed for an equaliser and almost got it in optional time when right back Nyiko Mobbie unleashed a ferocious strike which was brilliantly turned away by Sandilands – much to the relief of the Pirates-strong crowd. Ea Lla Koto would go on to threaten later on in the game with some half chances but fortunately the Bucs defence was able to hold on until the end. SOURCED FROM THE ORLANDO PIRATES WEBSITE.